Romitaman Original Comic Book Art :: Private Collection :: Captain America by artist John Romita Sr. Page: COVER SOLD SOLD SOLD! Click Here To See Captain America #178 Comic Book! 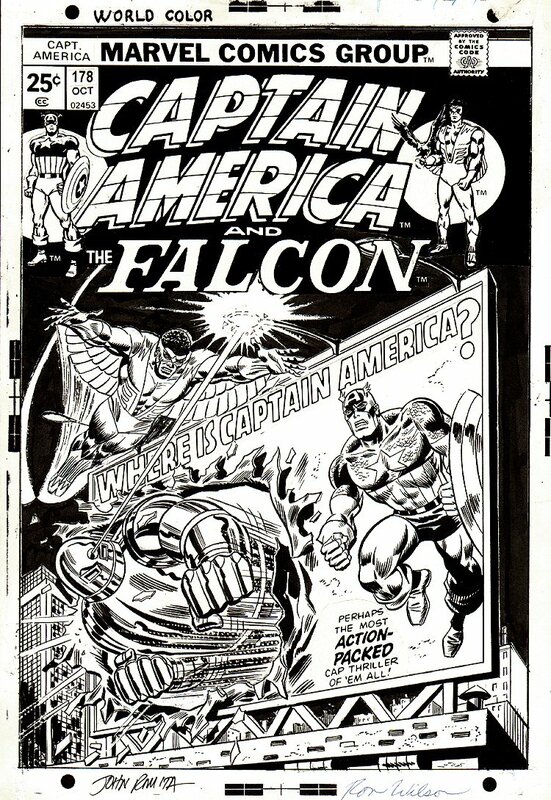 Check out this very cool 1974 Captain America cover which was penciled by Ron Wilson, with extra penciling and inking by the great John Romita Sr., from the story titled: "If The Falcon Should Fall--!!" 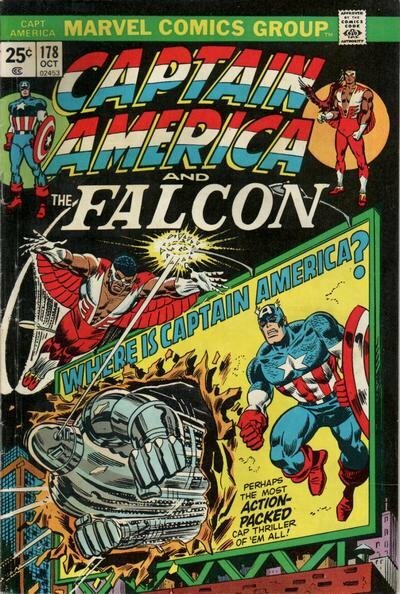 This nice cover features a large image of Captain America on a billboard...as Falcon battles Lucifer's giant flying robot which is bursting through the Captain America billboard! Just a great opportunity to own a 36 year old Captain America COVER! Compare this nice cover art to the published comic book in the red link above, COOL! Cover is signed in ink by John Romita Sr. and Ron Wilson! ALL HIGH end pieces of art, including this one, are able to be purchased with VERY fair time payment plan options, and trades are always considered towards this and any other pieces of art on my site here! Just send me an email and we can try to work something out.